The Chester County Commissioners announce plans for the next two Coffee and Conversation evenings, being held in locations throughout Chester County over the coming months. 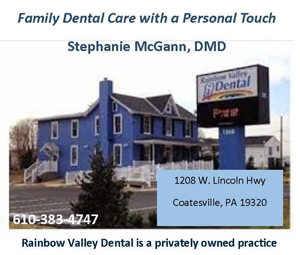 The informal open forum gatherings will be held in cafés and coffee houses and residents of all ages are encouraged to attend. 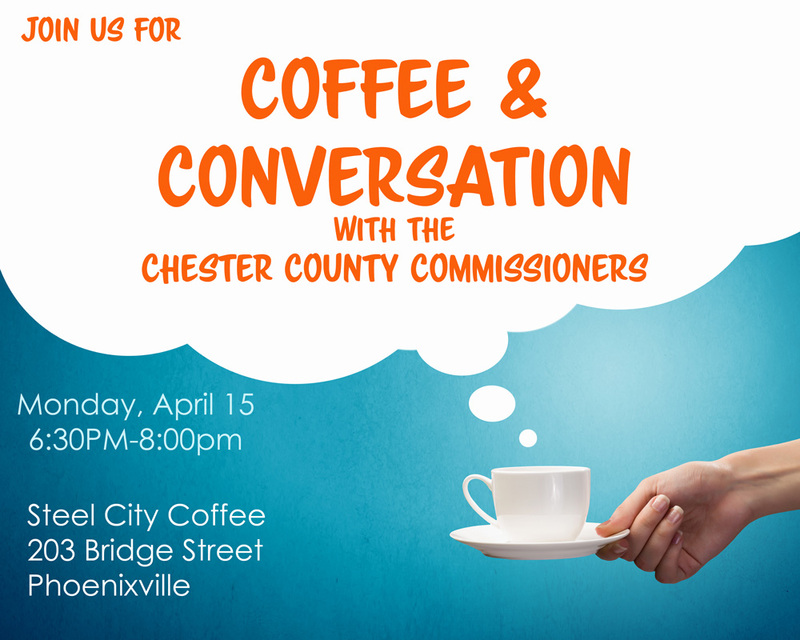 The next Coffee and Conversation evening is Monday, April 15th from 6:30 to 8:00 p.m. at Steel City Coffee, 203 Bridge Street, Phoenixville. A further Coffee and Conversation evening will be held on Wednesday, May 1st at the Malvern Buttery, 233 E. King Street, Malvern.